An article came out in the Sunday New York Times yesterday, in the Education section. It was written by Phyllis Korkki, and it's about the financial state of the veterinary profession. According to the article we have a 1:1 debt to income ration, make an average of $121,000 a year, yes tuitions are going up but hospitals are expensive to run and we need more vets in food animal medicine. Besides, we do it for the 'personal fulfillment...which is worth more than a paycheck." Oh, yeah, and we pay $18,000 a year tuition and can get our debt forgiven- if we don't get it paid for by the government through the VMLRP, that is. The VMLRP is the Veterinary Medicine Loan Repayment Program which provides up to $25,000 a year towards your loans if you take a job in a state designated shortage area. Last year it funded 80 people. Year before, 62. Over those two years we know AT LEAST 3919 + 3879 = 7798 people became eligible to join the North American practitioner population. And according to JAVMA, in 2012 those 3879 were carrying an average $151,672 debt load; $148,614 in 2011. 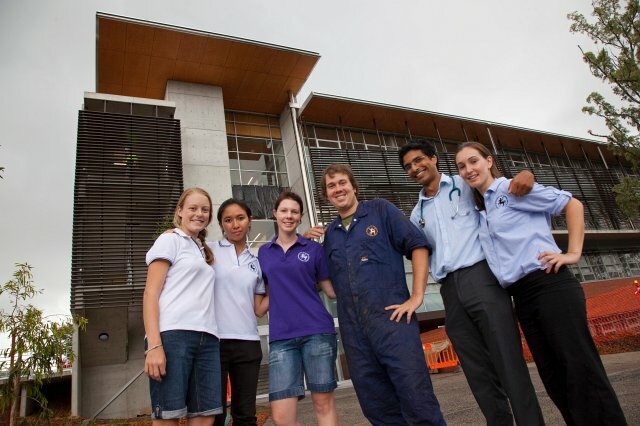 The University of Queensland School of Veterinary Science has earned accreditation from the AVMA Council on Education. The decision was announced after the October meeting of the COE along with the reaccreditation of Sydney, Auburn, Michigan and Calgary. Ah, Auburn, my alma mater, proud proponent of the technical approach. And good ol' MSU, which to the best of my knowledge still sends students to see practice with the star of the not so "Incredible Dr Pol" show. And let's not overlook Calgary, first vet school in North America to implement a distributive model. No, Western didn't invent it. Yes, it's been evaluated and yes, it works quite well. Do we need more schools? No. Do we need different schools? Damn skippy. If the ones we have can't change fast enough, then new ones will join the market. This does not mean the newly accredited schools or the newly founded ones are profiteering pawns in some sinister political plot to ruin our profession. Accreditation just means a school delivers high quality education. That's all. So RELAX. Take a pill, have a drink, go for a run, hug your wife, eat a sandwich, whatever. Queenslanders, have two drinks and go for a swim*, you've earned it! *Not in that order, and please adhere to all applicable local regulations regarding the consumption of alcohol. You look like good kids. Keep your heads on, eh? This is a scary scary document. 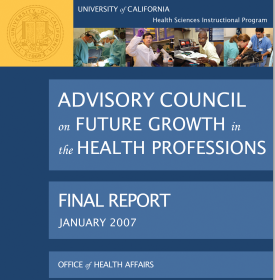 It is the veterinary section of the 2005 California Health Sciences Workforce Study. -bemoans the undersupply of veterinarians in the state, as judged by the fact that California is one of almost half of all states that are below the national average vet to population ratio and in fact, horror of horrors! half of all California counties are at or below the average for the state. Here's the scary part. Remember this study was published in 2007- almost a decade ago. “out-of-pocket,” veterinarians must adjust their prices to fit what the market will bear in their communities. meeting this demand to lower prices is unrealistic for most veterinarians." From the land of the unfunded mandate, where perception is reality. We're all perceiving that reality now, eh?